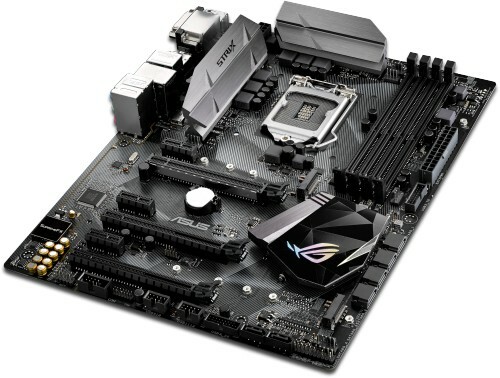 The ASUS ROG Strix Z270H Gaming motherboard supports 7th Generation and 6th Generation Intel Core i7 / i5 / i3 / Pentium / Celeron processors in the LGA1151 package and has two 32GB/s M.2 slots. ROG Strix Z270H Gaming motherboard combines bold aesthetics with premier performance and incredible audio to deliver unrivalled experiences and style. Support for the latest Intel processors and technologies, plus exclusive ROG innovations, take performance to the next level to give you the edge against opponents. ROG Strix Z270H charges every movement of every game with thrilling energy and equips you with epic speed and agility. Join the Republic with ROG Strix Z270H Gaming and dominate your game! ROG Strix's awesome SupremeFX audio technology has levelled up, delivering an exceptional 113 dB signal-to-noise ratio on the line-in connection for best-ever ROG recording quality! We've also added a low-dropout regulator for cleaner power delivery to the SupremeFX S1220A codec, plus Texas Instruments® RC4580 and OPA1688 op-amps for high gain with low distortion. It all adds up to audio that envelops you as never before! A dedicated base-clock generator designed for 7th Generation Intel processors allows overclocked base base-clock frequencies up to or beyond 425MHz*. 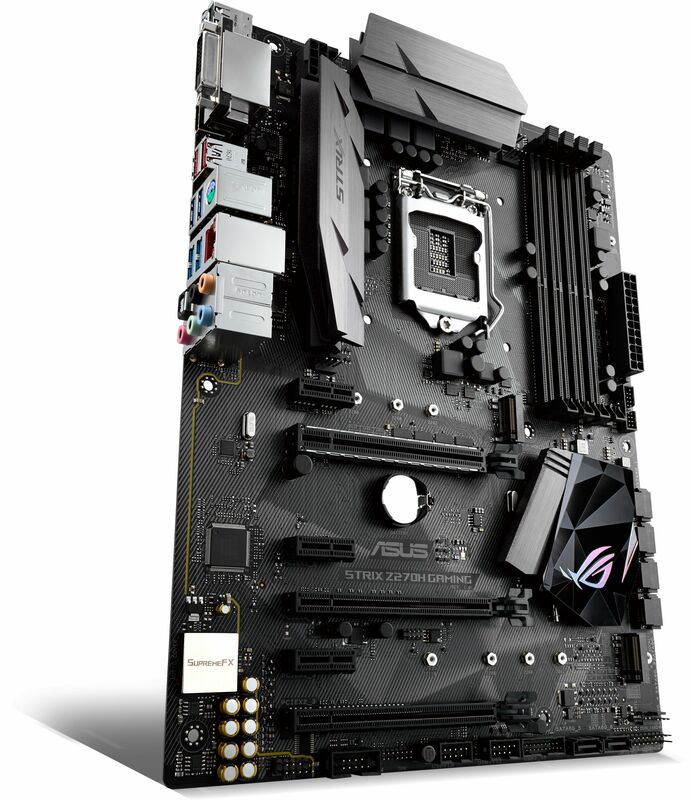 This custom solution works in tandem with the ASUS TurboV processing unit to enhance voltage and base-clock overclocking control, — providing an exciting new way to boost performance to extreme heights. ROG Strix Z270H Gaming features the very latest Intel Ethernet (I219-V) for faster, smoother gaming. Intel's LAN has the serious double advantage of reducing CPU overhead while offering exceptionally high TCP and UDP throughput. This significantly reduces the processor's workload, so there's more power for gaming.